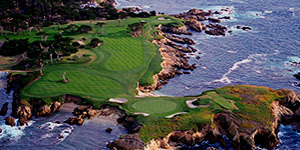 Few golf courses are as revered as California's Cypress Point Club. The Course is set at the foothills of the Santa Lucia Mountains, along the white sands and steep cliffs that border the Pacific Ocean. Almost as many superlatives have been used about the beauty of the location, as have been used to describe the course itself. Every true golfer would love to play Cypress Point. One of the most instantly recognisable golf courses in the world, Augusta National offers one of the best championship eighteen hole courses and its famous nine hole par 3 course. 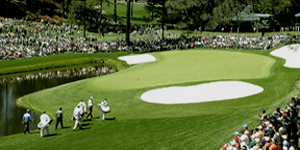 The club annually hosts The Masters, the most highly coveted tournament in professional golf, and one of the four Major professional tournaments. Each hole is named after the diverse flora found around the course. It is every golfer's dream to walk on St Andrews Links, known as the Home of Golf. A landscape of infinite variety, golf has been played here for over 600 years, its golf the way it should be played. 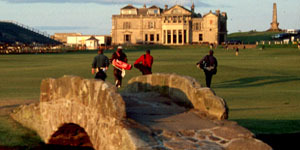 The old course has played host to the British Open Championship on numerous occassions. The final three holes are some of the best finishing holes you will play anywhere in the world and simply must be played. 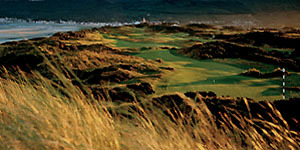 Royal County Down is a feast of great golf holes between which is a layout of breathtaking beauty. However, there is little time to enjoy the scenery here as every hole is lined with treacherous hazards. Royal County Down is widely regarded as one of the finest tests in world golf, as well as being one of the most beautiful. Tom Watson describes the front nine as the best he has ever played.